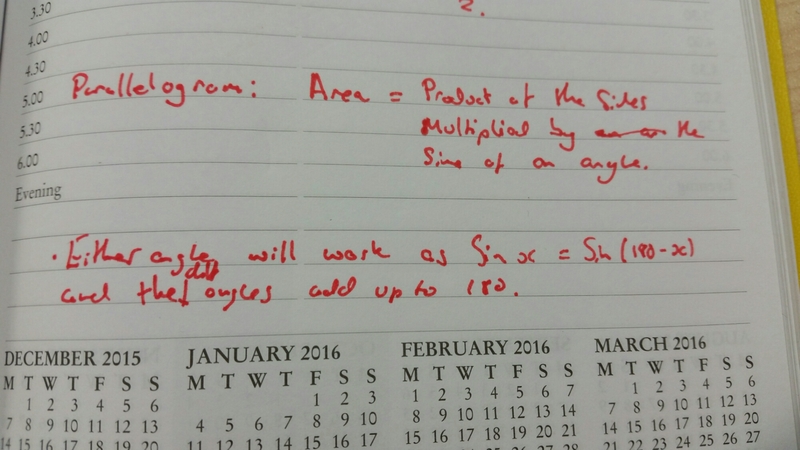 This morning I read this interesting little post from Andy Lyons (@mrlyonsmaths) which looked at teaching the exact Trigonometric Ratios for certain given angles (namely 0, 30, 60, 90 and 180 degrees). The post gave a nice little info graphic linked to the unit circle to show what was going on and then focused on methods yo remember the ratios. While reading it I thought about how I introduce these exact Trigonometric Ratios. 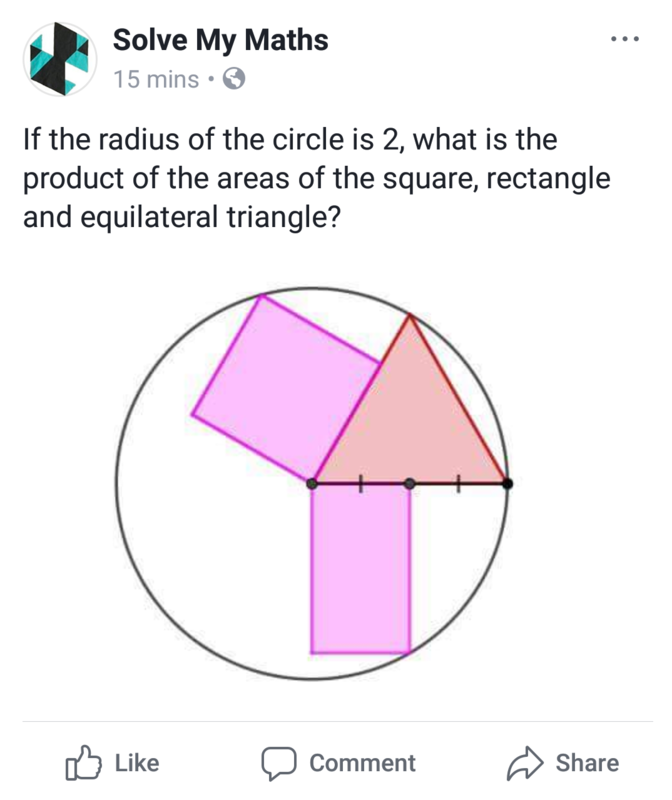 I first like to know that my students have a thorough and in depth understanding of right angled triangles and the trigonometry involved with them (including Pythagoras’s Theorem). I feel this is imperative to learning mathematics, the Triangle is an extremely important shape in mathematics and to fully understand triangles you must first fully understand the right angled triangle. The rest follows from that. Once these are understood then you can move on to the trigonometric graphs, showing how these can be generated from right angled triangles within the unit circle, as shown in the info graphic on Andy’s post. 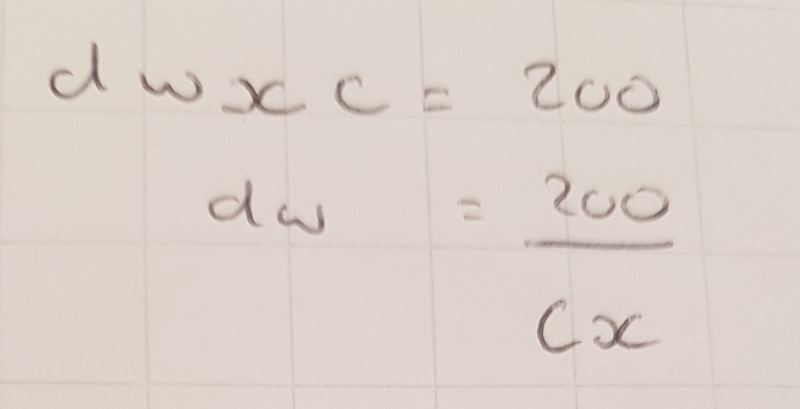 Once the graphs are understood then the coordinates f the x and y intercepts and the turning points give us nice exact values for angles of 0, 90 and 180 degrees. This leaves us with 30, 60 and 45 to worry about. At this point I introduced 2 special right angled triangles. 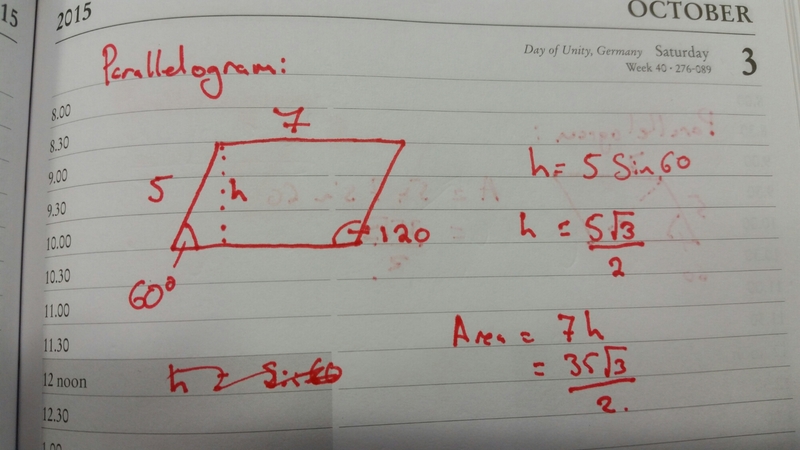 First up is the right angled isosceles triangle with unit lengths of the short sides. 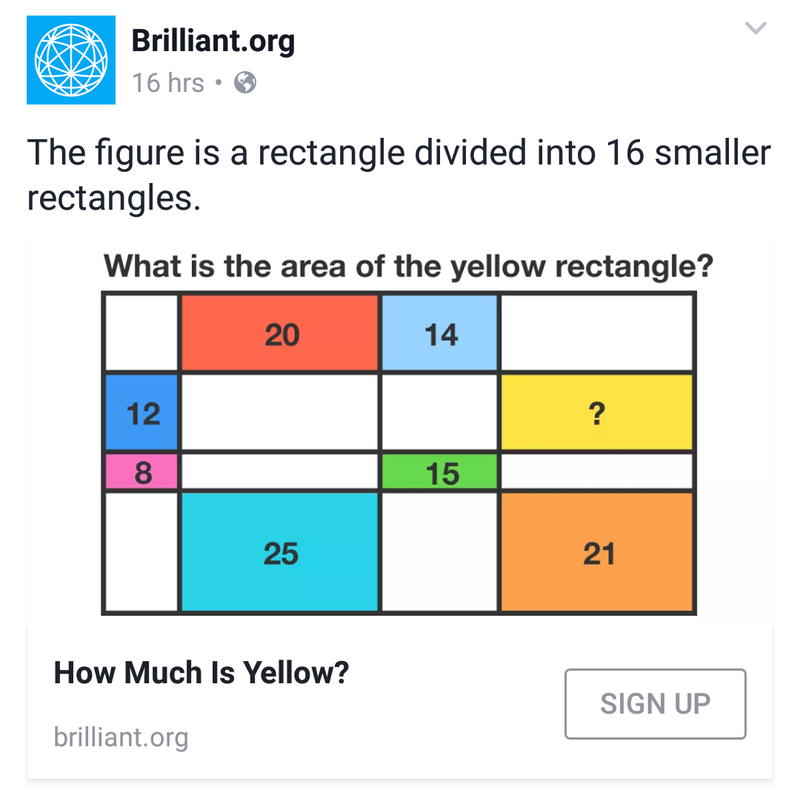 This obviously gives us a right angled triangle that has two 45 degree angles (as the angle sum of a triangle is 180) and a hypotenuse of rt2 (via Pythagoras’s Theorem). Using our definitions of trigonometric ratios (ie sin x =opp/hyp, cos x = adj/hyp and tan x = opp/adj) we can clearly see that tan 45 = 1 and that sin 45 = cos 45 = 1/rt2. This aids the understanding more than just giving the values and allows students a method of working these values out easily if stuck. 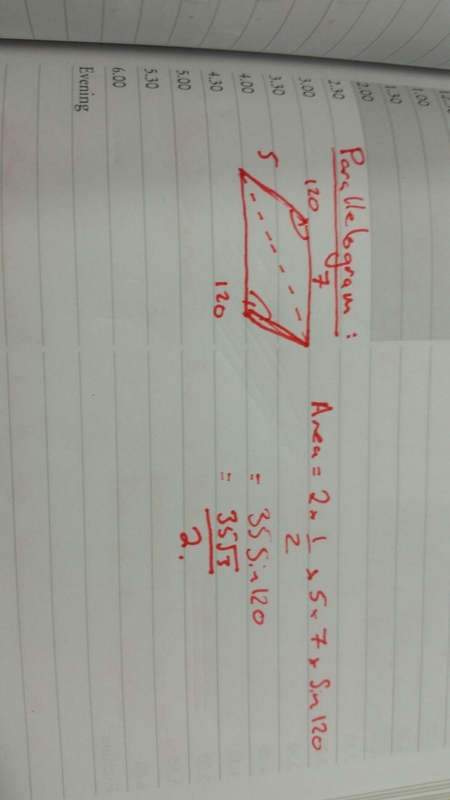 The second triangle is an equilateral triangle of side length 2 cut in half. 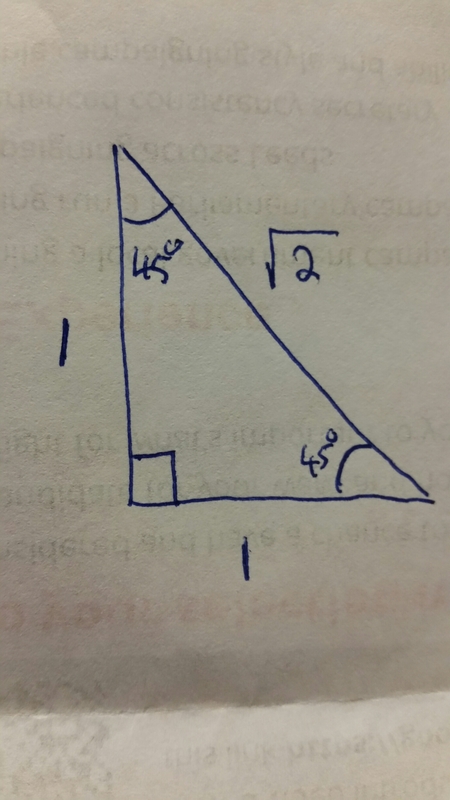 This gives us a right angled triangle with hypotenuse 2, short side lengths 1 and rt3 (again obtained through Pythagoras’s Theorem) and angles 30, 60 and 90. Again we can use our definitions of trigonometric ratios to conclude that sin 30 = cos 60 = 1/2, sin 60 = cos 30 = rt3/2, tan 30 = 1/rt3 and tan 60 = rt3. This is again good for deeper understanding and for seeing why sin x = cos 90 – x, and cos x = sin 90 -x. This can lead to a nice discussion around complementary angles and that the word cosine means “sine of the complementary angle”. 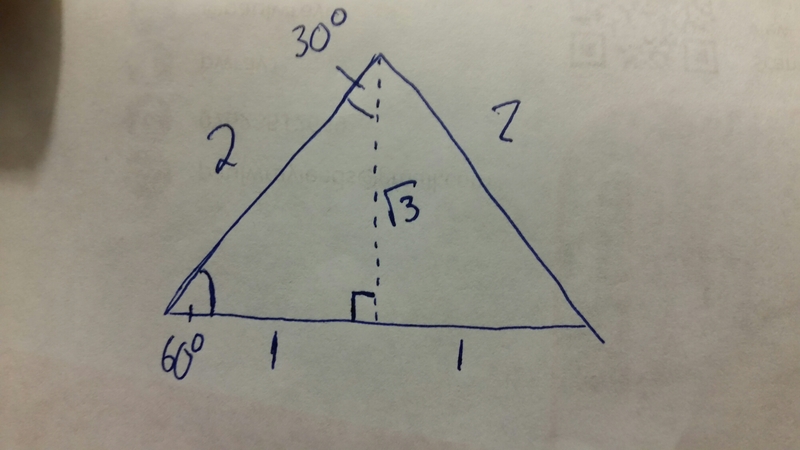 This triangle is also a good demonstration that tan x = cot 90 – x, when you come to higher level trig. I’ve never rally thought that deeply about them, to be honest. 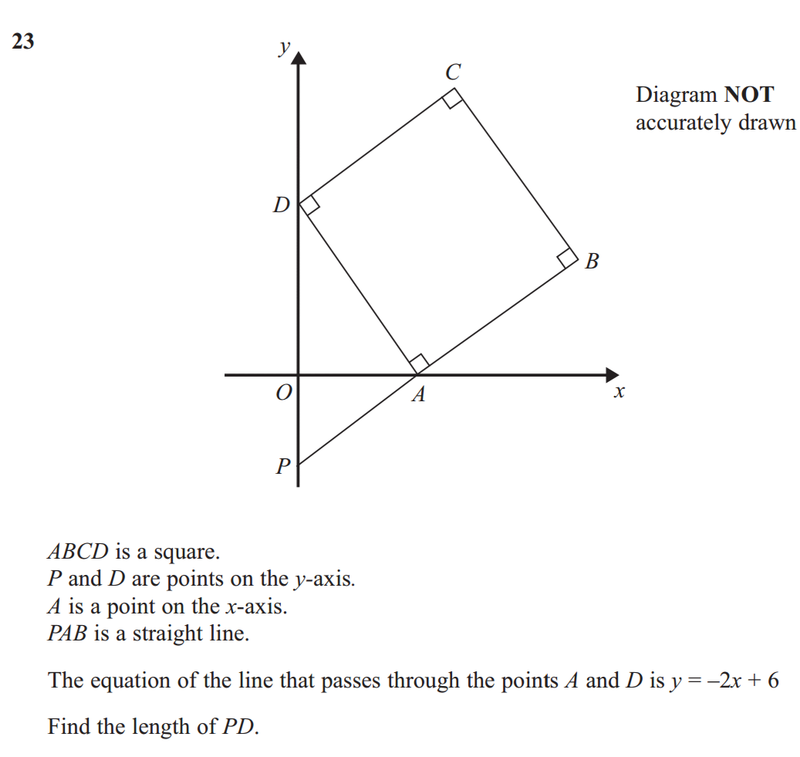 They have some uses in angle reasoning lessons, and we need to be able to find their area in the GCSE, but I’ve not thought too deeply about them recently at all. It’s a fine method, and easy to show that it works by showing that you can cut the end off, stick.it in the other end and get a rectangle which is clearly of the same area. I love this method, it’s much, much nicer than the other. I couldn’t wait to question him. 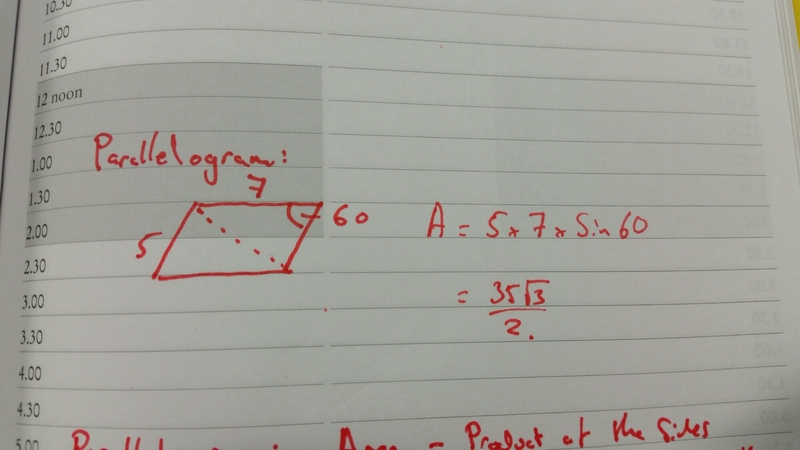 When I did he said that he “couldn’t remember” how to do it, but knee how to find the area of a non right angled triangle so split it into two of them which were congruent using SAS. 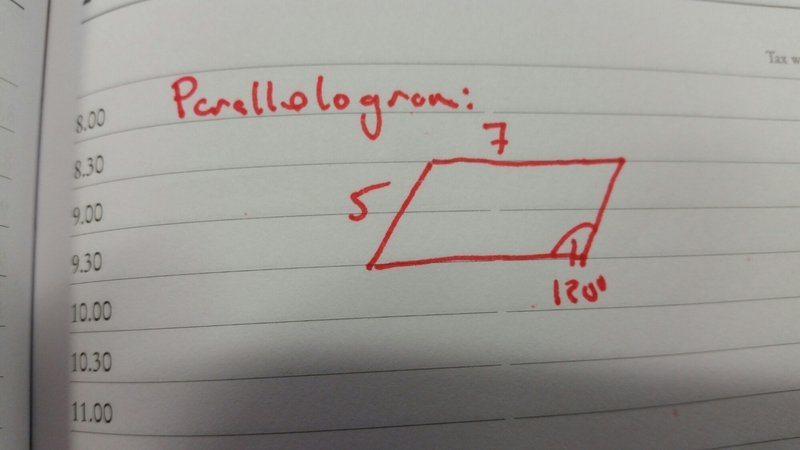 I asked him what would happen if you split the parallelogram across the other diagonal. 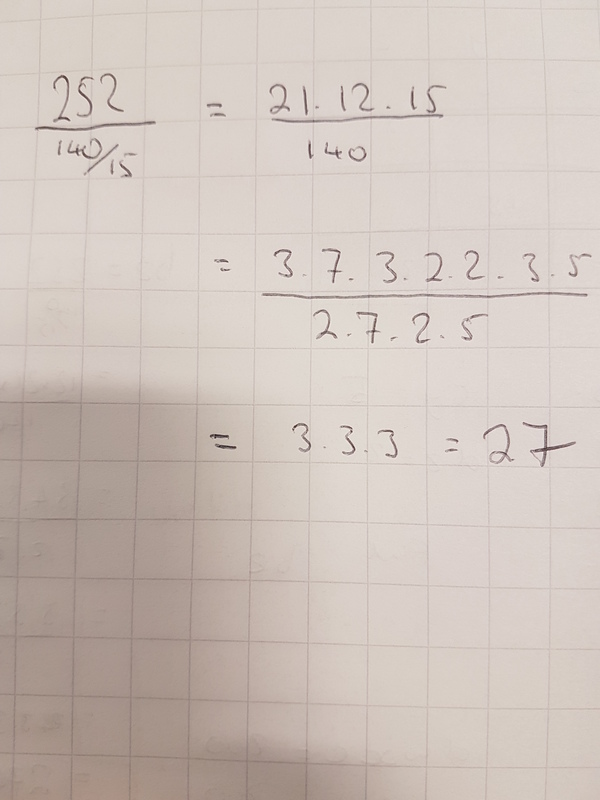 He thought about it for a while, and eventually told me it would be fine because of “how the sine curve is” and because, “the angles add up to 180”. The other day I my timehop showed me this lovely little post from last year. It includes “Heron’s Formula” for calculating the area of a triangle, as I read it I remembered thinking it was a little strange that not many people had heard of it before. 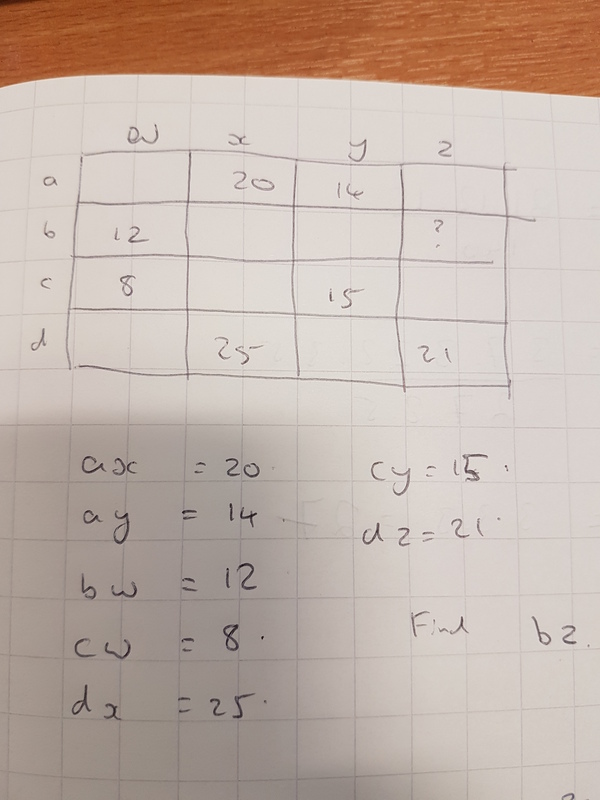 Today I was looking through a number of textbooks trying to find a decent set of questions on area, perimeter and volume for my year nines as I wanted to consolidate their learning at the start then move onto surface area. I’m not a fan of textbook misuse- ie “copy the example and try the questions” but I do sometimes use them for exercises as we have a very limited printing budget and some of them have superb exercises. For a fuller picture on.my view of textbooks, read this. There it is! Plain as day! Heron’s Formula! 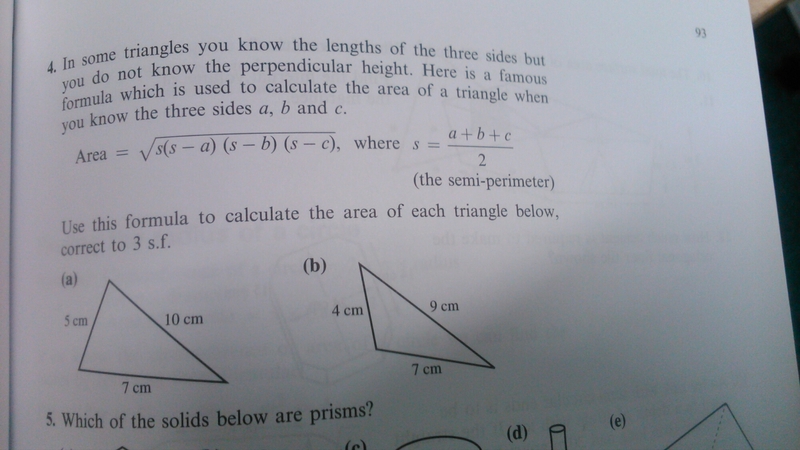 In a KS3 textbook! I was disappointed that its function was described and its name wasn’t and there was no mention of why this worked. 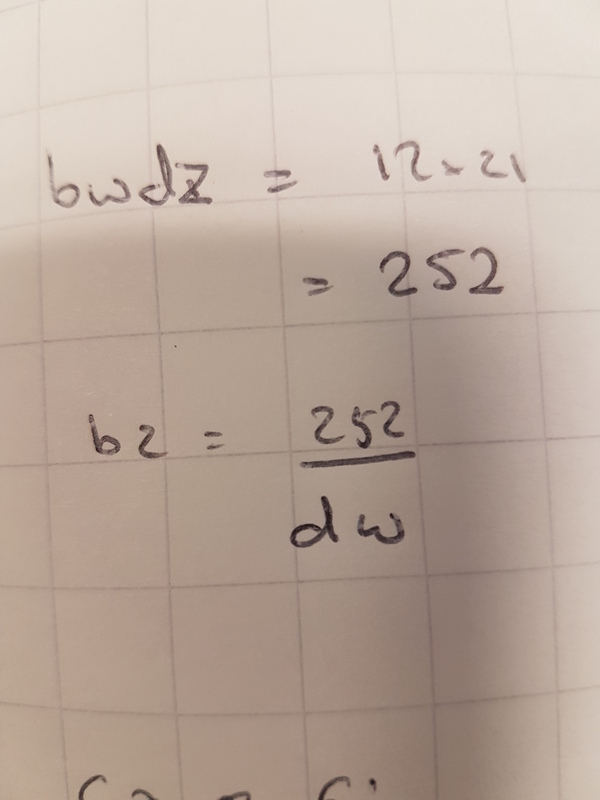 It basically reduces the question down from a geometry one to a purely algebraic substitution task and I would question the appropriateness of including it in an exercise on area, but still, I was incredibly exciting to find it there! Are you a fan of Heron’s Formula? Had you even heard of it? 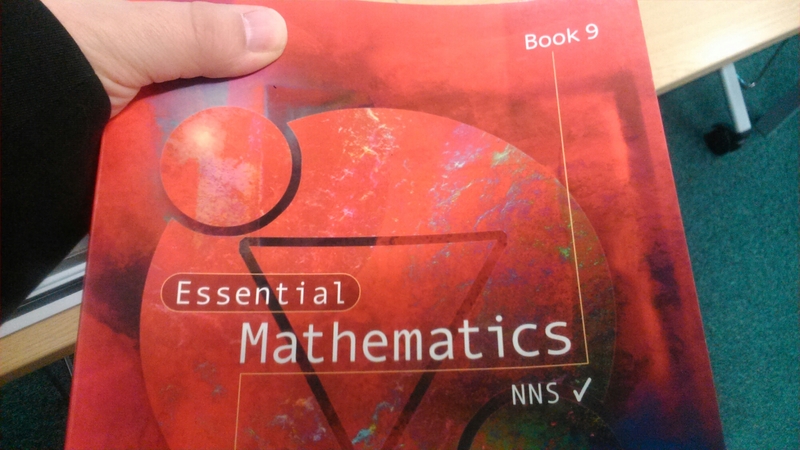 Do you have a favourite textbook? I’d love to hear your views.